No matter what your specific family-related legal issue, whether it be child custody, property distribution, alimony, child support or otherwise, having the right attorney can make all the difference. Finding that attorney, however, can be daunting. Following are a few tips on how to choose the right divorce attorney for you. Bend the ear of the other professionals in your life: financial planners, counselors and therapists, real estate agents and attorneys are good resources. A personal referral says a great deal about an attorney. Generally, when you reach out to an attorney about whether he or she can represent you, an initial consultation is scheduled. It is during that consultation that you will be able to go to the attorney’s office, meet the attorney and his or her staff, ask questions and talk through your specific legal issues. You will also have the opportunity to learn about the attorney, including how long he or she has been practicing and what percentage of his or her practice is devoted to family-related issues, among other things. You can also assess that attorney’s experience in dealing with your specific legal topic. You may feel that you have a strong connection with the first attorney you meet, and if so, that is telling. However, you should feel comfortable having an initial consultation with more than one attorney. You must be comfortable with and trust the person you retain to help you with these very sensitive issues. Did the attorney explore your goals and discuss the reasonableness of your goals in light of your rights and obligations under the law? Did the attorney conduct the initial consultation in a way that met your needs? Did the attorney communicate well and in the way that is best for you? Did the attorney discuss clearly how he or she bills and address your questions about legal expenses? Do you feel comfortable with the attorney? Do you feel that he or she listened and understood you? From your first contact with that attorney’s office, did you receive excellent customer service? While there are certainly other ways to help you choose an attorney, the suggestions above are some of the most effective ways to evaluate whether an attorney is the right fit for you. Most people need a divorce attorney in the worst of times, making it all the more important to find an advocate that you can trust, communicate well with, and who will support you through a difficult process. 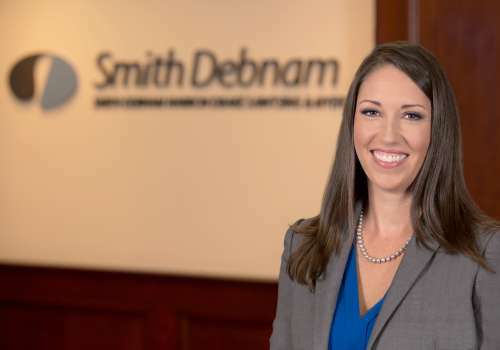 If you have questions or would like more information on this topic, please contact attorney Lynn Wilson McNally at 919.250.2176 or by email at lmcnally@smithdebnamlaw.com.